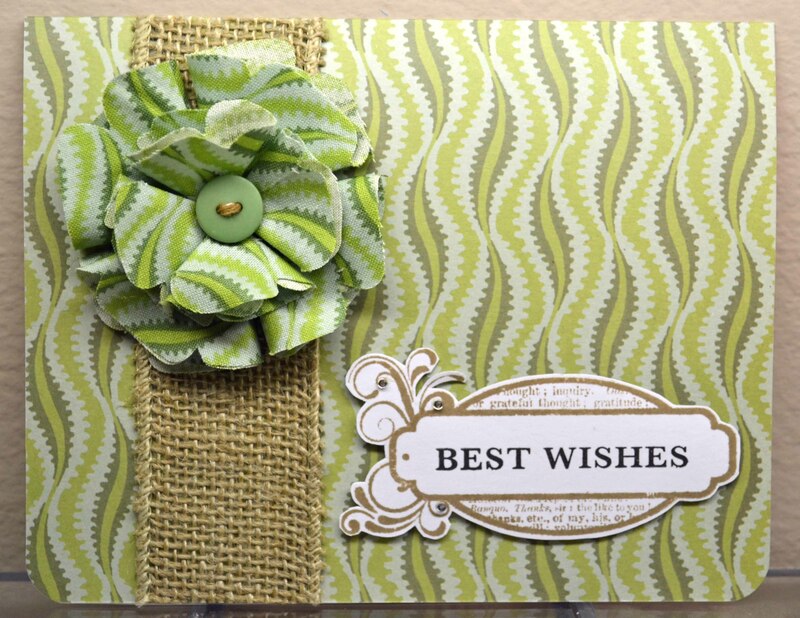 While playing with fabric (to add soft texture to cards) I also came across a few fabric-like items that are perfect for cardmaking. 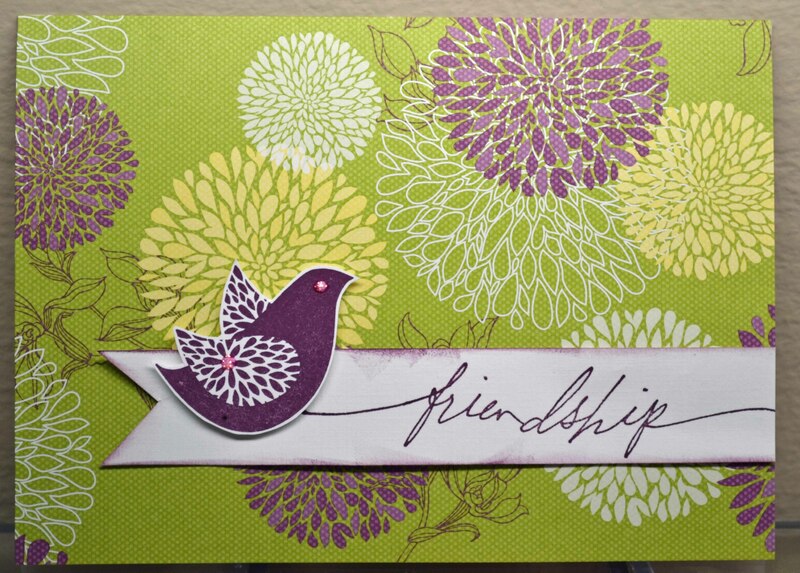 Again, I found a stamp that mimicked fabric … Crazy Quilt CG477 from BasicGrey/Hero Arts. 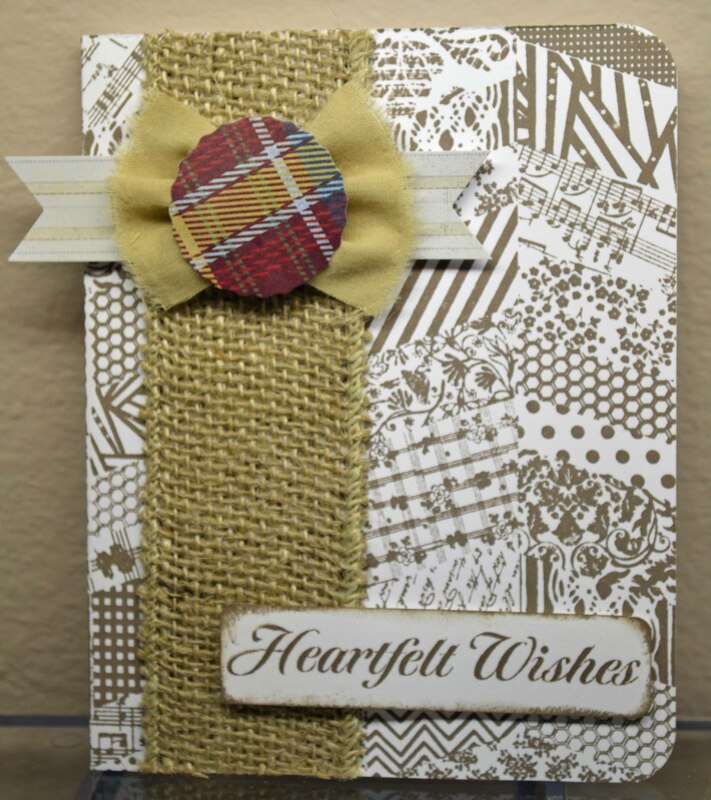 The burlap ribbon is from Close To My Heart and the bowtie embellishment is from Basic Grey. The sentiment is from Hero Arts, the ink Cup O’ Joe. This shabby chic paper (Close To My Heart) looks like it could be fabric, so I paired it with a canvas sticker (also from Close To My Heart). 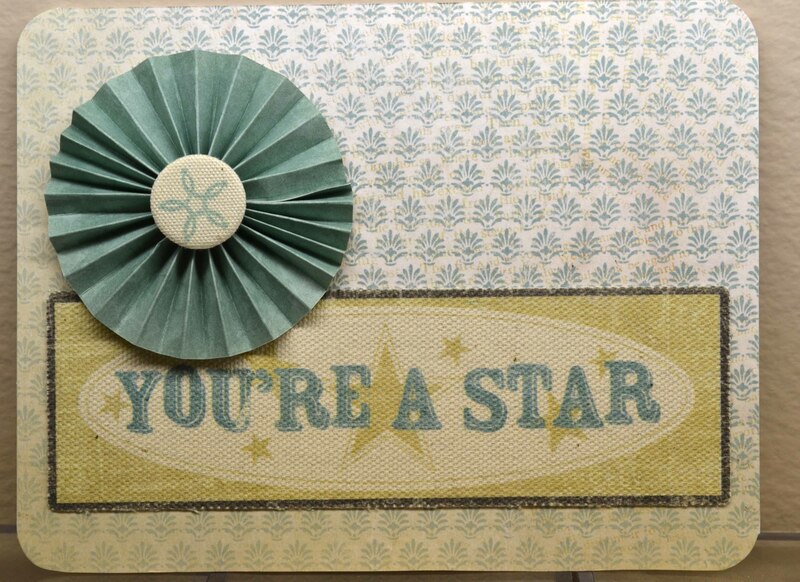 The paper rosette (from the same paper collection) is topped with a fabric covered button (Close To My Heart) stamped in pigment ink. Who says fabric is just for sewing? 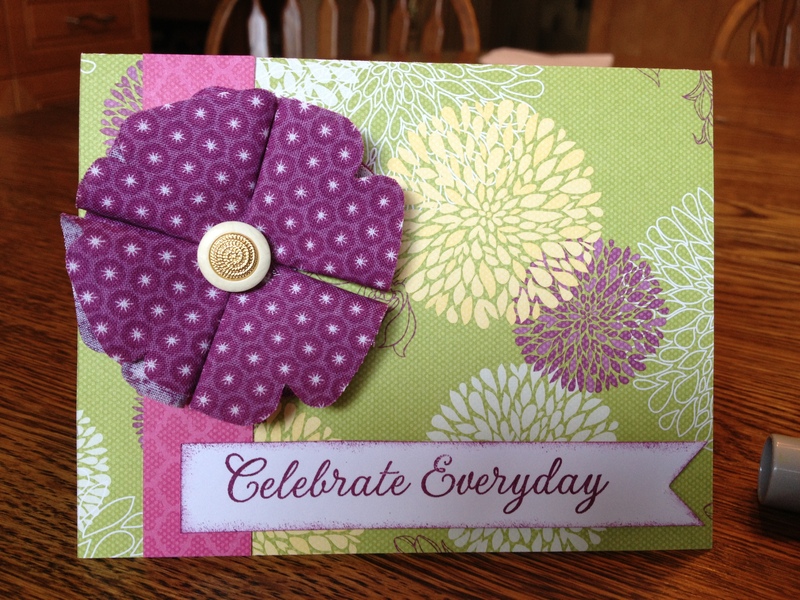 In my last post, I showed some cards made using fabric that coordinates with cardstock. So can you imagine my excitement to get a package from Stampin’ Up! 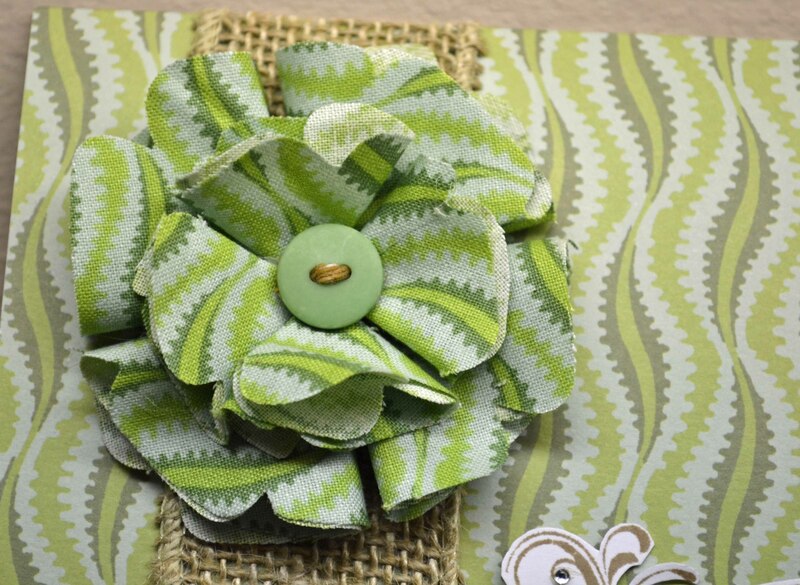 that had coordinating fabric, cardstock AND stamps?! The stamps — so sweet! 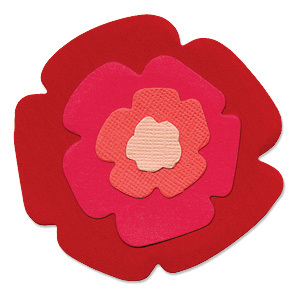 — are from Stampin’ Up’s Betsy’s Blossoms. This alliteration is such fun, I should have saved it so it could be a Fabulous Finds Friday Fabric Flower! I went crazy cutting these flowers — they were so fun and easy. 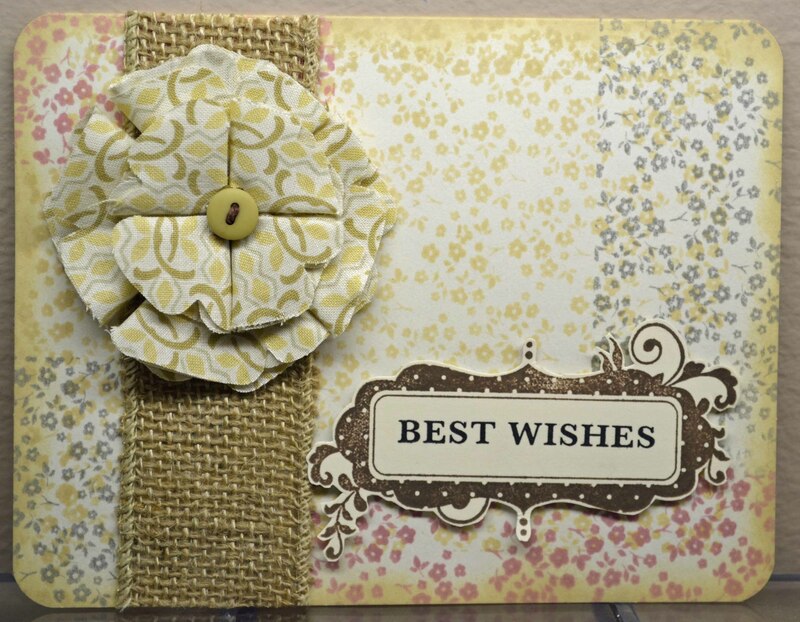 The flower on this card (and the others I will show you) was cut with the large and medium flower from Sizzix die set 654979. 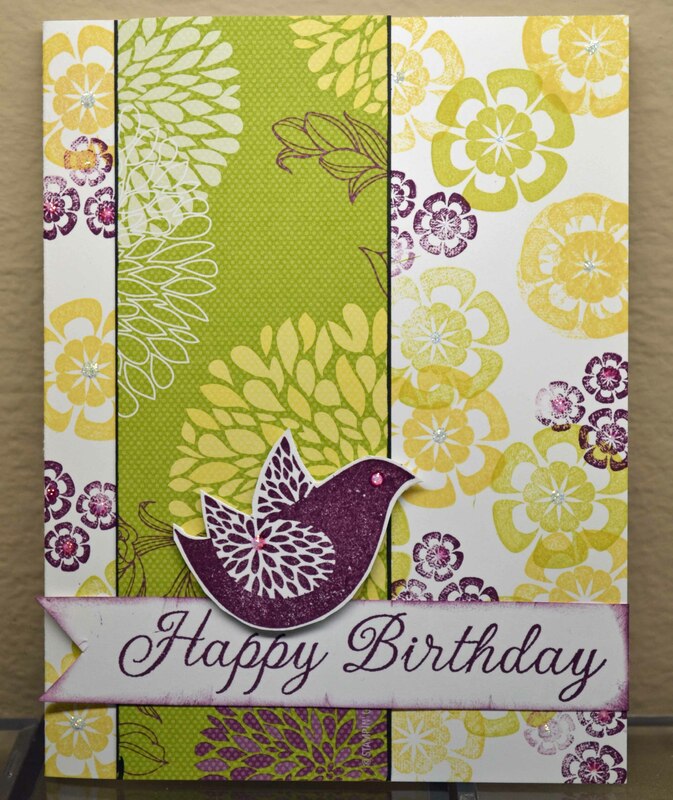 The background stamp is a pretty print from Basic Grey/Hero Arts and was stamped in Soft Sand, grey (Marvy Matchables), and Soft Blossom. I liked the fabric look of the image. I’ll have some others in my next post.